Sometimes I like to play around with stitch patterns and designs, other times I like someone else to provide the inspiration. 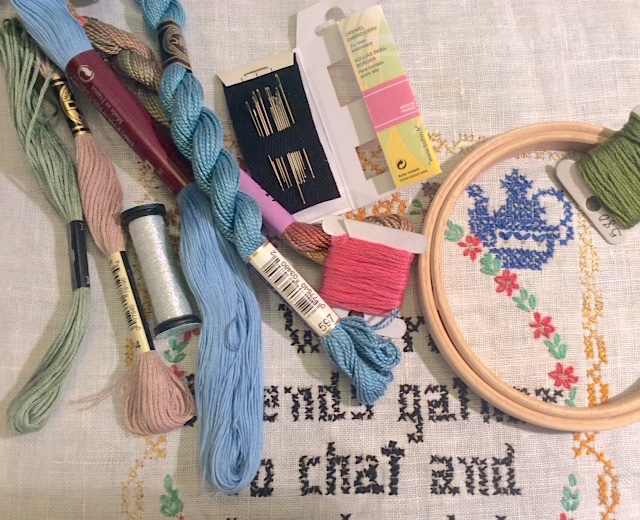 The other day I stumbled upon some free embroidery projects and decided to do some further exploration and share my finds with you. The first comes from one of my favorite embroidery sites, Mary Corbet's Needle n' Thread. Mary has a whole page of patterns that can be printed and used for stitching. Some would make excellent applique designs as well. 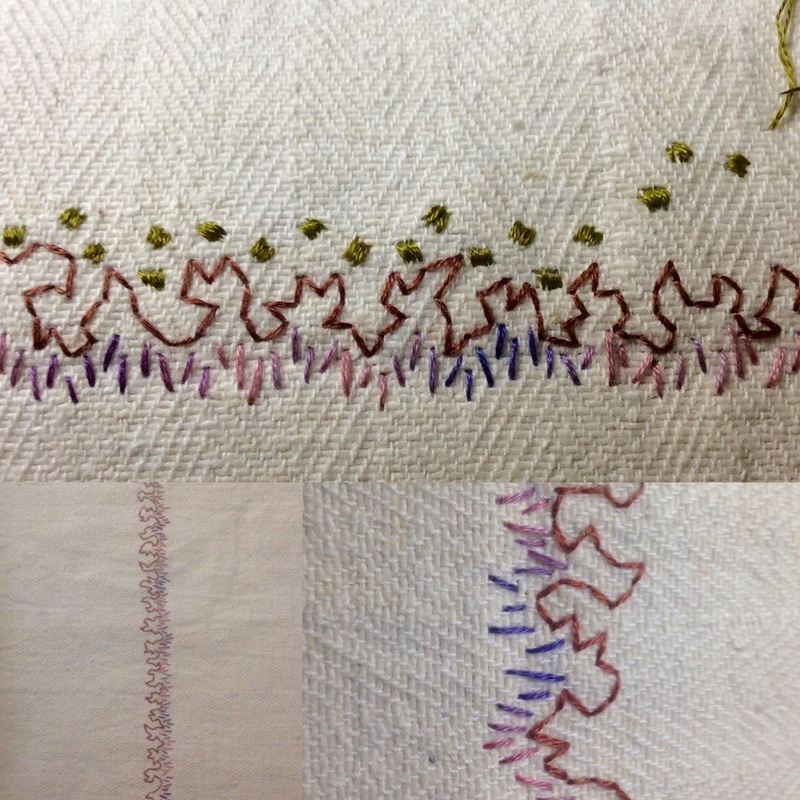 She, generally speaking, gets her patterns from vintage embroidery books. She then cleans them up with her graphics program and puts them up for all of us to use. After you are inspired by the free designs, check out the rest of her site. It's a world of great information! I opened my messages this morning and found that Mary Corbet just put a new free pattern on her blog! It is a pretty symetrical medallion flower pattern. It isn't posted on her free embroidery pattern page yet so I couldn't let the opportunity to share her newest pattern with you! Not only is this a good organization but, they have some free stuff even if you're not a member! While there are a few patterns on the page there are several instructional booklets that can be downloaded that give good information on stitching. The topics include Technique Basics of Surface Stitchery, Counted Cross Stitch, Blackwork and Stumpwork. On Instructables I found this darling owl idea from craftknowitall. I was going to choose just one project from this site to show you but there are so many adorable ones I decided to post a page with links to all of her projects. 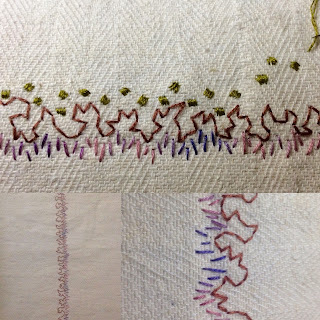 I especially adore the napkins with a French poem embroidered on them and creating an embroidery from designer fabric. You'll have fun roaming through her projects, I think. challenge that will last the year. Sara Barnes at Brown Paper Bag started up 1 Year of Stitches 2017 and I've decided to participate. It is a celebration of embroidery and the idea is to make at least one stitch per day on an embroidery of your choice. The group is nearly 2,000 strong and everyone has their own interpretation for how to proceed. Some are finishing ufo's, others are working from patterns, there is cross stitch, free form embroidery, beginners and folks teaching their children and just about anything else you can think of. If you'd like to join in it's not too late. You can check out Sara's blog for instructions or go to the Facebook page 1Year of Stitches:2017 and ask to join. My photo covers days 1-3. I hope to see your stitching! One more thing! I've listed the Emerson Winter pattern from the previous post on my etsy shop in case you feel like stitching up some inspiration! It's a downloadable PDF pattern so you can get started on it right away!